Oxford Street, Paddington, Sydney; PERFECTLY LOCATED CLOSE TO SYDNEY CBD This huge four bedroom home is located in the hustle and bustle of Paddington neighbouring Sydney City and is surrounded by only the best cafes and restaurants. Large kitchen with plenty of bench space, gas cooking and stainless steel appliances; Spacious living/dining room carpeted through out; Bright and landscaped courtyard; Master bedroom with large balcony; Four generous sized bedrooms; Abundant storage throughout; Close to restaurants, cafes, transport and schools; Gas, Dryer, Washing Machine, Balcony, Alarm System, microwave, fridge, TV, Sofas etc. ; Live in one of the premium residences in one of the most tightly held suburbs in Sydney's eastern Suburbs - clean, quiet and tidy home. This is a great place to relax, live in peace, enjoy a good night sleep and maintain an active life style. This location is definitely the place to live and love your stay in Sydney. The site boasts excellent public transport accessibility and is located within close proximity to outstanding local amenity in the form of reputable educational institutions, recreation and retail offerings. Bus Stops at door step to anywhere within and outside the City; Walk to many of the Sydney attractions that Sydney City can offer are within walking distance. Heaps of clubs, pubs, cafes, casual eateries, restaurants, supermarkets -everything is nearby; this is absolutely one of the most sought-after location in the town. A single bed in a double room with built-in wardrobe - $190 Private room for 1 person - $300 Private room for 2 persons - $380 Bond: 1 week rent. All rooms are fully furnished. The rent includes all bills including water, electricity, gas, internet (WIFI). All rooms have windows, plenty of natural sun light and fresh air and peaceful residential home close to Sydney City. It is not a party house however parties accepted as reasonable from time to time is not a bad idea. 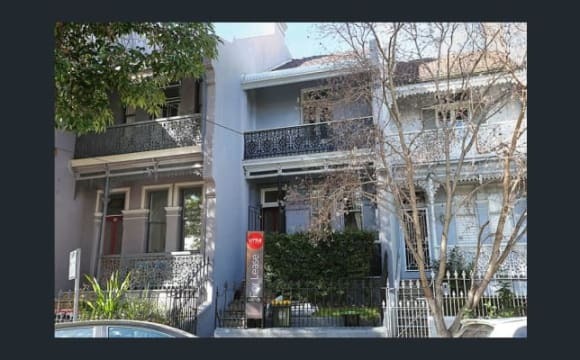 Oxford Street, Paddington, Sydney; PERFECTLY LOCATED CLOSE TO SYDNEY CBD 	This huge four bedroom home is located in the hustle and bustle of Paddington neighbouring Sydney City and is surrounded by only the best cafes and restaurants. 	Large kitchen with plenty of bench space, gas cooking and stainless steel appliances; Spacious living/dining room carpeted through out; Bright and landscaped courtyard; Master bedroom with large balcony; Four generous sized bedrooms; Abundant storage throughout; Close to restaurants, cafes, transport and schools; Gas, Dryer, Washing Machine, Balcony, Alarm System, microwave, fridge, TV, Sofas etc. ; Live in one of the premium residences in one of the most tightly held suburbs in Sydney's eastern Suburbs - clean, quiet and tidy home. This is a great place to relax, live in peace, enjoy a good night sleep and maintain an active life style. This location is definitely the place to live and love your stay in Sydney. The site boasts excellent public transport accessibility and is located within close proximity to outstanding local amenity in the form of reputable educational institutions, recreation and retail offerings. Bus Stops at door step to anywhere within and outside the City; Walk to many of the Sydney attractions that Sydney City can offer are within walking distance. Heaps of clubs, pubs, cafes, casual eateries, restaurants, supermarkets -everything is nearby; this is absolutely one of the most sought-after location in the town. A single bed in a large triple room with a large wardrobe - $190 A single bed in a double room with built-in wardrobe - $190 Private room for 1 person - $300 Private room for 2 persons - $380 Bond: 1 week rent. All rooms are fully furnished. The rent includes all bills including water, electricity, gas, internet (WIFI). 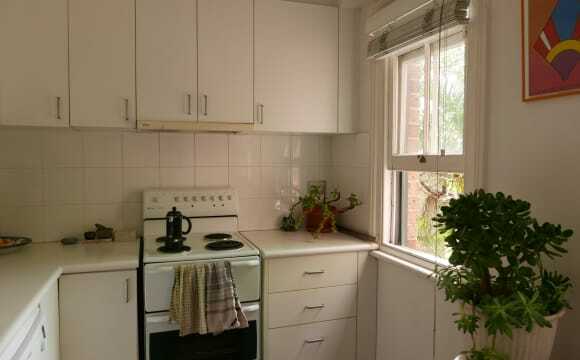 All rooms have windows, plenty of natural sun light and fresh air and peaceful residential home close to Sydney City. It is not a party house however parties accepted as reasonable from time to time is not a bad idea. We have rooms available NOW in PADDINGTON!! * Great location to live close to the city! ** 5 minutes walking distance from Town Hall!! Shops around and entertainment at every corner. It is a hostel for easygoing and relax people! Location is amazing! Fully Furnished Bills and Internet are included. 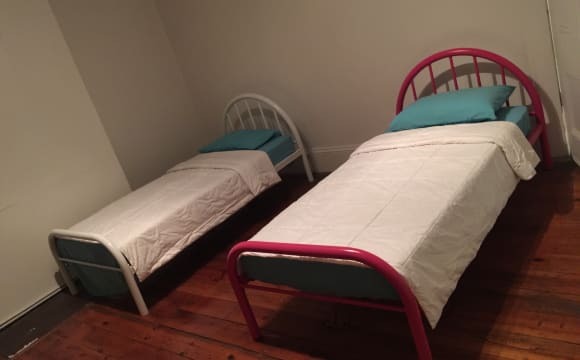 Available NOW: QUADRUPLE ROOM for female : Starting at $167/week. 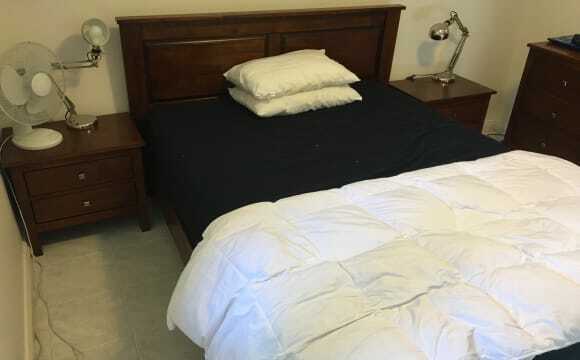 TRIPLE ROOM for male: Starting at $177 per week. Key deposit $350 (refundable upon departure) Cleaning Check-out Fee $50 (One-Time Payment) Feel free to message me to schedule an inspection! Thank you! 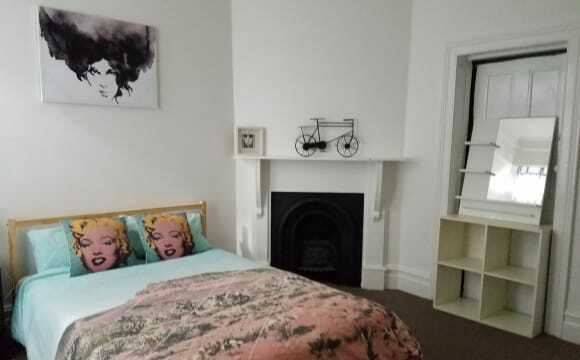 Generous Queen size, quiet and bright room in renovated Paddington townhouse with two housemates. The open-plan living area and sunny courtyard provide a sunny space to relax. House is fully furnished, new dishwasher, washing machine and dryer. The room comes unfurnished, although it has a wardrobe. The Paddington lifestyle is literally just 2 minutes walk to Oxford Street, Paddington Intersection and Fiveways! This is the best location in Paddington. Right on Glenmore road, a stone's throw away from Oxford street with countless shops, bars and cafes. Also close to direct buses to Bondi and the city. Ideally looking for someone to go on the lease (ending Oct). This Terrace is beautifully painted and has a great courtbyard for entertaining and very clean. Close to all of Paddington’s great shops with public transport and plenty of street parking. Your own a private room in this amazing 18th century art decor house minutes from the famous Rushcutters Bay. 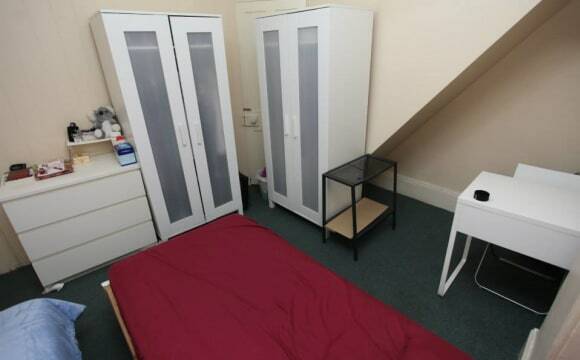 Located 8 minutes walk to Oxford St. Your room comes with, double size bed, table, desk, chair, clothes hanger. Northerly aspect with lots of natural light. From Oxford St, it's a 10 minute bus ride into Sydney CBD and buses comes every 2 minutes. We also have a bus stop right outside our house. 15 minutes walk to Kings Cross Train Station. You can also walk all the way into the Sydney CBD from this house which takes around 30 minutes. We've got a big house split into 2 level. 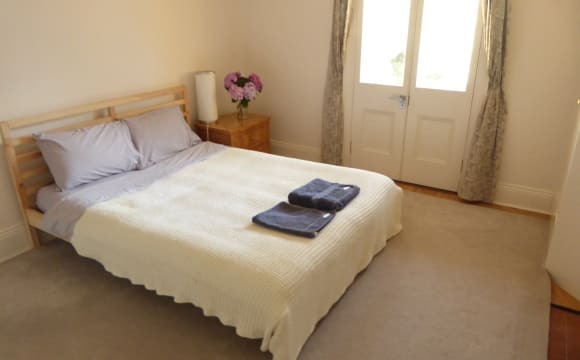 The room being advertised is located upstairs and is one of the smaller rooms in the house hence the lower rent. You'll be sharing upstairs with: Mallaury: Lovely French girl working in hospitality Romaan: Easygoing guy from New Zealand working at Macquarie Bank. Florent: French guy working professional. We also have 3 other flatmates who live in the downstairs level. Each level has their own kitchen and bathroom. Room is furnished with double bed, mattress, cool linens, wardrobe, desk and chair. We also have a cute little courtyard around the back of the house with BBQ, tables and chairs so you can experience the true Aussie way of life. Super fast internet, we have NBN unlimited. Rushcutters Bay: Surrounded by enormous fig trees, luxury yachts and pampered pooches. This unpretentious waterfront park is a beauty spot for a quiet stroll, jog or tennis match. You can also join the Cruising Yatch sailing club here and become a crew on a sail boat for the day for only $20. Oxford St: one of Sydney's most famous shopping strips. Funky cafes and restaurants, weekend markets, world famous retailers, heritage terrace houses, cultural institutions and sprawling parklands all resides along this street. Couples are welcome. Bills are $10 per person per week. One person $230 plus $15 per week bills total $245 Couple $230 plus $30 per week bills $260 total Quite a social house but we respect each other's privacy. We have BBQ breakfasts together on weekends and also go out as a group. My home is in the heart of Paddington on Glenmore Rd. The house is an original Victorian terrace, full of sunlight, character and plants. It's a short 10 min bus ride to Bondi and a stroll to Oxford St, Darlinghurst, Surry Hills and Kings Cross. There are hundreds of bars and food options covering all cuisines and price ranges right outside our door. The house is also walking distance to two excellent cinemas, art galleries and fashion boutiques. Beautiful centrally located terrace, with one private furnished room on offer. The Room: - Queen bed - Double wardrobe - Private balcony - Remote-operated privacy blind on balcony The Location: The terrace is located in Paddington, walking distance to Woollahra shops, Edgecliffe Train Station, Buses on Oxford St to the City and Bondi Beach. Short 5 mins walk to beautiful Centennial Parklands. The Property: The house is very clean and tidy, and has a generous kitchen and updated bathroom. - Gas Cooker - SMEG Oven - Leafy garden - Newly renovated bathroom - Open plan living and dining area I am looking for a female non-smoker flatmate. Short term furnished double room with its own entrance available for 1 week from 23rd May until 20th June $350 per week including bills. Great location near Five Ways in Paddington, with a 10 minute walk to Oxford Street, 15 minutes to King Cross, and 30 minutes to the City. Regular buses are also nearby. On street parking is available with limited 24 hour parking spaces across the road. The house is great with four bedrooms, a private courtyard, large garage with additional storage space, two communal balconies, lounge, kitchen, lower ground bathroom, reception and laundry rooms spread over three floors. You’ll be sharing with clean, tidy and chilled housemates ranging from 22-30. Message for more details or to arrange a viewing, thanks! Our home is located in the beautiful heart of Paddington, next to the idyllic 5 ways, which is home to restaurants, cafes, pubs, bars, boutiques and a Woolies. It has transit links to the city right outside its door and buses to the beach just a five minute walk away. Spread over four floors the house never feels crowded, but there is almost always someone around when you want to grab lunch or head to the pub. There are several balconies off the house with a view of the city and Rushcutters Bay. The room has its own optional entrance, is spacious, fully furnished with loads of storage and shares a bathroom with just one other person. The room will be available to move in on Sun 12th May. Please note the bond amount is $1275 (not 4 weeks rent as calculated below) Bills on average work out to be ~$100 per person a quarter ($20-30 for gas, $20 water, $50 electricity every few months) and internet is $20 a month. Other perks - dishwasher, gas stove, aircon and heater in living room, washer AND dryer &amp; huge tv with Chromecast :) We are also close to a number of gyms, outdoor boot camps and yoga studios nearby. 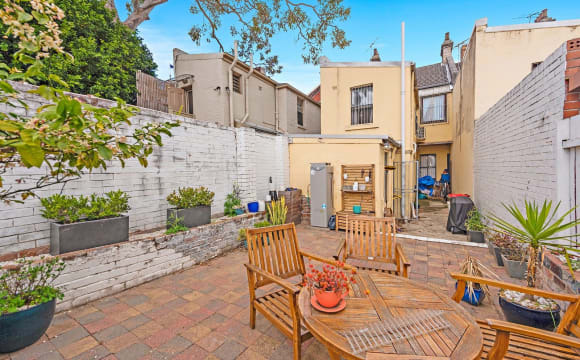 Sunny four bedroom terrace in the heart of Paddington, just a few blocks back from the restaurants/cafes of Oxford Street (frequented by buses to the City and Bondi). Bedroom available is the master, as one of our current housemates is moving in with girlfriend. Nice / garden backyard with avocado tree and great late twenties housemates. Beautiful airy and spacious Paddington town house with a huge living room, dining room and garden. Garden comes complete with its own avocado tree, so you can live the millennial dream. The room available is a double sized bedroom complete with double wardrobe, fireplace and balcony. The biggest room in the house! We're just off Oxford St and within 5 minutes walk of Paddington's excellent pubs, restaurants, shops, galleries, cinemas, Centennial Park and several supermarkets. 10 minute bus ride to the shops at Bondi Junction, and 20 minutes bus ride into town in one direction and Bondi beach in the other! RENT would be $400 for a couple. Room is unfurnished. Being in Paddington, the property is in a great location; 3 minute walk from Five Ways, 11 minute walk from King's Cross Station and a 10 minute walk from Oxford Street. We're close enough to the city that some of us even walk to and from work. The house is between a cul-de-sac and a one way lane so it' incredibly quiet and we never hear any traffic noise. The house has 1.5 bathrooms (two toilets and one shower. Even with give of us, we find that we don't have to compete for the shower as we all have different schedules). The room fits a king bed and has an inbuilt wardrobe so you don't need any extra shelving unless you want it. Expenses include: - Cleaner $15 per week. - Electricity and gas $35 per month. - Internet $5 per week. We have a bbq which is cranking most weekends in summer as well as all the usual house goodies, i.e. Wifi, Netflix, and an outdoor entertaining area. 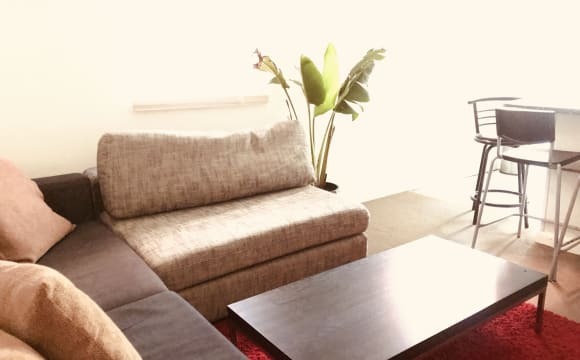 Being a share house, you don't need to worry about bringing any communal household items as everything is already furnished (unless you want to!). The room is not furnished so that's the only thing you need to worry about which makes moving in really easy. Your own private room in this amazing 18th century art decor house minutes from the famous Rushcutters Bay. 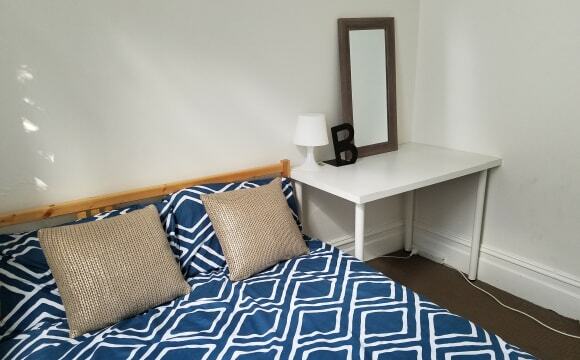 Located 8 minutes walk to Oxford St. Your room comes with, double size bed, table, desk, chair, clothes hanger. Northerly aspect with lots of natural light. From Oxford St, it's a 10 minute bus ride into Sydney CBD and buses comes every 2 minutes. We also have a bus stop right outside our house. 10 minutes walk to Edgecliff Train Station, 15 minutes walk to Kings Cross Train Station. You can also walk all the way into the Sydney CBD or Double Bay from this house which takes around 30 minutes. We've got a big house split into 2 level. The room being advertised is located downstairs. You'll be sharing downstairs level with 2 other people and there are 4 other people in the upstairs level. Each level has their own bathroom and kitchen. 2 bathrooms and 2 kitchens in total in the house. Room is furnished with double bed, mattress, cool linens, wardrobe, desk and chair. We also have a cute little courtyard around the back of the house with BBQ, tables and chairs so you can experience the true Aussie way of life. Super fast internet, we have NBN unlimited. Rushcutters Bay: Surrounded by enormous fig trees, luxury yachts and pampered pooches. This unpretentious waterfront park is a beauty spot for a quiet stroll, jog or tennis match. You can also join the Cruising Yatch sailing club here and become a crew on a sail boat for the day for only $20. Oxford St: one of Sydney's most famous shopping strips. Funky cafes and restaurants, weekend markets, world famous retailers, heritage terrace houses, cultural institutions and sprawling parklands all resides along this street. Couples are welcome. Bills are $10 per person per week. One person $315 plus $15 per week bills total $330 Couple $315 plus $25 per week bills $340 Quite a social house but we respect each other's privacy. We have BBQ breakfasts together on weekends and also go out as a group.